What fun! 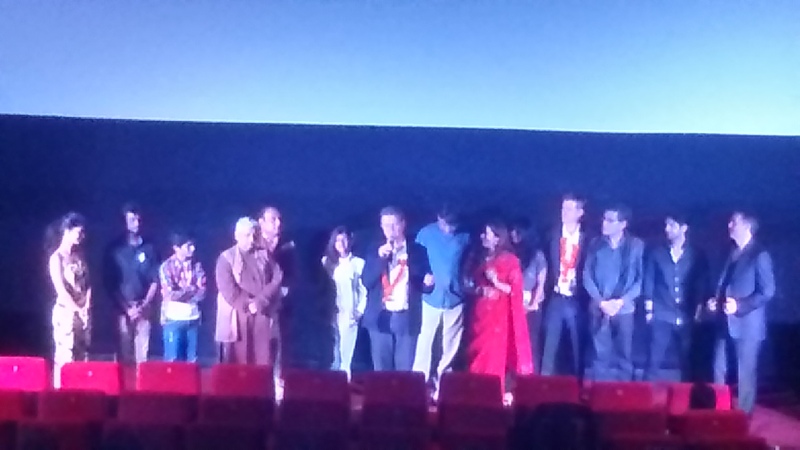 This weekend was the ‘Indian Premier’ of The Second Best Exotic Marigold Hotel with a special viewing for cast n crew. 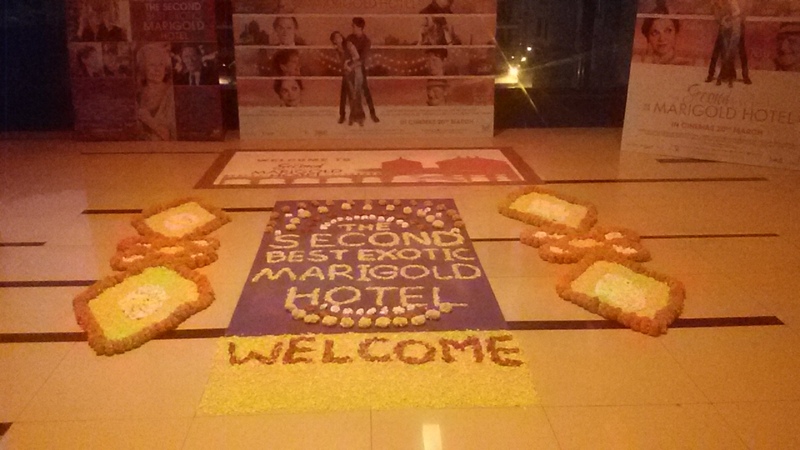 Welcome to The Second Best Exotic Marigold Hotel! 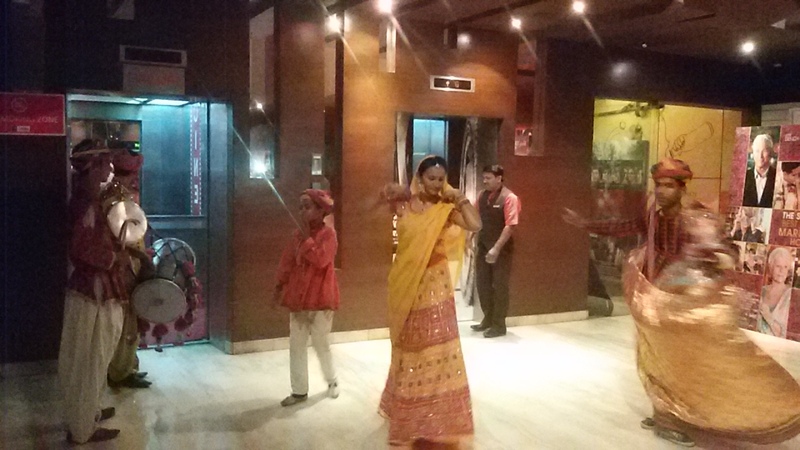 At the entrance, we were greeted with a merry marigold covered rickshaw then exuberant drumming and dancing part of most Indian marriages and celebrations. While none of the UK or American cast were able to join, the Fox Searchlight team was well represented. John Madden did a wonderful job making the evening an inclusive appreciation of all the efforts that went into creating another delightful film. 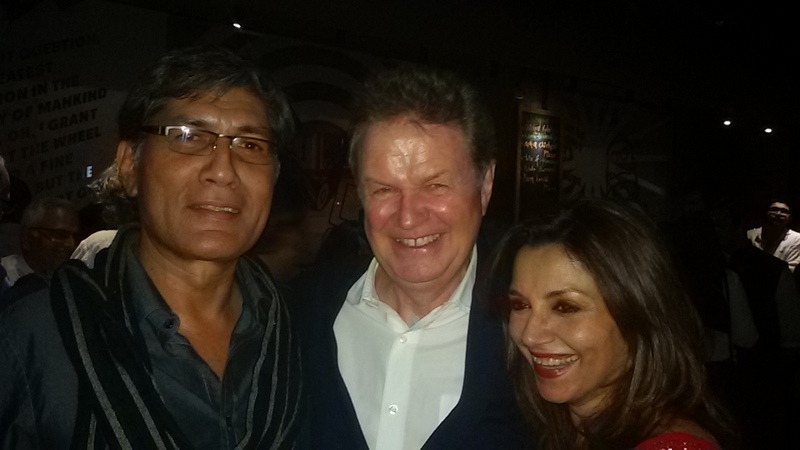 The writer – Ol Parker – and Producer – Graham Broadbent – were also very much a part of the event and after-screening dinner gathering. I won’t say more about the movie – just watch and enjoy! It also can’t help but spark more stories of enjoying life in later years in ‘non-traditional’ ways – just need a zest for life and being open to new experiences! Yeah I’ll admit it… I bent the ear of the writer with tales of my great-aunt who kept kicking-up her heels traveling with great gusto, humour (and a much younger hubby!) until just over 100 years. Any one else have a family member or friend who post 70 opens a new chapter and takes life into a completely different direction? By Carissa Hickling in Film, India on March 15, 2015 . I can’t wait to see this. I’m waiting for it to be showing in more independent theaters hat I like instead of the expensive ones where popcorn is as much as the ticket and you can drink beer inside. Loved both Marigold Hotel movies! Loved. Thanks for sharing this little glimpse into the Indian opening. Were the movies just as popular there? You both are an inspiration! Can’t say yet if the 2nd will be a hit in India however the 1st did OK. Dev Patel’s character doesn’t connect so well locally and as his and Tina’s relationship plays in to much of the story, that may work so well. However Lillete shines in an understated way, so that offsets! I have a new student – he’s 75 and thinking of moving to Norway at the end of the year 😉 I might write a blog post about him when I get to know him a bit better! If you are his teacher… it is merely a matter of time! I went to see the 2nd Marigold movie last night – with my mother – and we both loved it. Your partner adds a cool dry discreet touch to the film (even as he takes a bribe). Hey fab! Amused you spotted him – well done.